After a month of no Champions League football, get ready to hear the famous chorus blast over some of football’s greatest stadiums. We have arrived at the knockout stages of the competition and there are some really fun match-ups in store for us over the next two weeks. High profile match-ups highlight the first leg of the knockout rounds; a resurgent Manchester United meets a banged up PSG squad, Spurs will try and hold on against a dangerous Dortmund team, while Roma and Porto provide some intrigue as well. Let’s take a look at the four games which will be taking place midweek along with predictions for yours truly and my Counter Press co-host Josh. The biggest match-up of the week features two of Europe’s highest spending clubs. Both Paris-Saint Germain and Manchester United have spent a lot of money in the past two seasons and last summer was no exception. PSG splashed the cash, as expected, spending over 217 million Euros in transfer fees this summer, most notably signing Monaco starlet Kylian Mbappe as he made his loan to the Parc De Princes permanent. PSG also spent 40M Euros on Zenit midfielder Leonardo Paredes and 35M Euros on center back Thilo Kehrer from Schalke. Manchester United weren’t very active last summer but still did spend around 82M Euros, with most of it going towards acquiring midfielder Fred from Shakhtar Donetsk. It’s been mostly smooth sailing domestically for PSG but they have run into some trouble as of late. They lost their first Ligue 1 game of the entire season last week when they fell to third place Lyon 2-1 on the road. The loss doesn’t affect the league title race that much as Paris sits 10 points ahead of second place Lille and with defeats seeming few and far in between; it will take an epic collapse for them to give up first place. However, they have been hit with the injury bug as of late and it has led to some worries heading into their match against Manchester United. Along with Marco Verratti and Tomas Muneier picking up knocks, PSG will likely be without two of their key attackers. Both Neymar and Edison Cavani, who combined for seven goals in the group stage and 30 tallies in Ligue 1, are expected to miss the first leg at Old Trafford, leaving a huge hole at the top of PSG’s starting XI. With most of the Manchester United defense now focused on Mbappe, it’s going to be tough sledding for the French giants to generate chances. PSG have had to adapt to different formations without Neymar and led manager Tomas Tuchel to employ two strikers up top with a block right behind them to cover the space behind against Bordeaux. They could also go 3-5-2 as they did against Lyon with a trio of two attacking midfielders and Marquinhos in between them to cover the midfield. Without three of his best players in Cavani, Neymar, and Verratti, Tuchel is going to have to get creative. According to French newspaper L’Equipe, PSG is likely to employ a 4-2-3-1 with Mbappe playing as the primary striker. This sets him up in a position where he excelled back at Monaco. Although this time he will be alone at the top of the formation. Things have gotten better for Manchester United after the firing of Jose Mourinho. Ole Gunnar Solskjaer has been brought in as the caretaker manager and things have been going well so far. The team has looked much more potent in attack, and many of the Red Devils’ top players are performing well. They have climbed their way into the Premier League top four as they continue to battle with Arsenal and Chelsea for the final spot. Being nine points off Tottenham, they are still going to have a lot of work to do to move up. United haven’t lost a game with OGS in charge, but this first leg against Paris is the beginning of a gauntlet of games for the squad from Old Trafford; they meet Chelsea in the fifth Round of the FA Cup before hosting Liverpool on February 24th. It’s safe to say this is Manchester United’s biggest stretch of fixtures so far this season, and it could be the time where OGS can prove why he should be the manager for this side moving into next season. In terms of how they will lineup, OGS likes to mix things up as United deploys many different formations based on the opponent. He’s lined up the Red Devils three different times in the past three games. Outside of the obvious shoe-ins such as Paul Pogba and Nemanja Matic, Solsjaer has a lot of options to choose from. Romelu Lukaku, Marcus Rashford or even Alexis Sanchez at times can be deployed at striker. Anthony Martial would be a very solid choice down the left wing and Jesse Lingard can be deployed on the right. 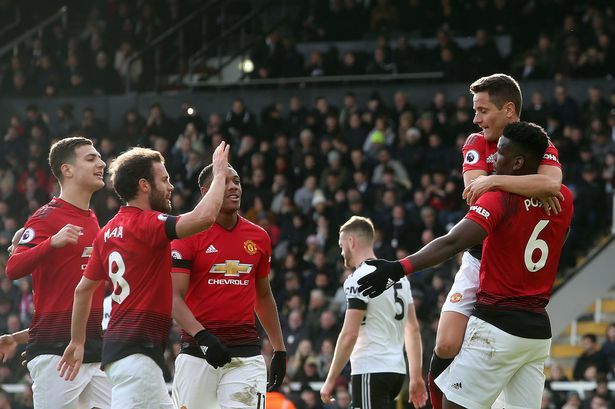 The backline has been had its share of struggles as Phil Jones, Eric Bailey, Victor Lindelof, and Chris Smalling all have gone through stretches of poor form. If Cavani and Neymar were playing, it would be a lot more troubling for United to handle. While this won’t be the main tie on Tuesday, Roma vs. Porto does offer some intrigue. Both teams have had some success in Europe over the last couple of years and the winner will certainly cause some problems for whoever they face in the next round. This won’t be the first time these two teams have faced off; they met back in the play-off round in 2016 with the winner advancing to the group stage. It was a emphatic 4-1 aggregate win for Porto, capping it off with a 3-0 victory in Rome. The two red cards in eleven minutes of play didn’t help Roma either. Porto has been a staple in the Champions League for much of the decade, making the competition eight years running. Domestically they have been decent as they are currently on top of the Primera Liga, Portugal’s top domestic league. Porto is currently a point ahead of rivals Benfica and hasn’t lost in the league since the end of October. This is the third straight year they have made the Round of 16 and they will be looking to be more competitive than the last two; last year finalists Liverpool demolished them 5-0 on aggregate, while 2017 runner-up Juventus knocked them out of the tournament 3-0. The Portuguese side had a very easy time in the group stage, going undefeated and breezing through with 16 points. While there weren’t any big European giants in their group, it shouldn’t take away from how impressive Porto was - four of their five wins came by two goals or more and they finished with a goal differential of +9, tied for second-highest of any team in the group stage. But like Paris Saint-Germain, Porto will be heavily shorthanded in attacking power when they travel to the Stadio Olimpico. Porto is going to be missing both Moussa Marega and fellow forward Jesus Corona in this one. With eight goals scored between the two, Sergio Conceicao is going to have to rely on some substitutes to be vigilant in front of goal. Luckily they have the home leg in March but grabbing an away goal would be a great result for Porto. Last year, Roma had a great run in the Champions League, making it all the way to the semi-final before being beaten by Liverpool 7-6 despite an valiant comeback effort in the home leg. In fact, home legs in Champions League knockout ties were Roma’s greatest advantage last year. After losing the away leg in both the round of 16 and the quarterfinal, Roma stormed back to win both ties, completing a historic comeback against FC Barcelona in the latter. Despite not having the greatest of results, AS Roma matches have been a thrilling ride this season. In the past few weeks alone they had a 3-3 draw with Atalanta and then turned around and got crushed by Fiorentina 7-1. This was followed by a 1-1 draw with AC Milan and then a 3-0 win against Chievo. It’s really hard to get a read on Roma at the moment. They’ve scored 44 goals in Serie A, third most in Italy, and are currently sixth domestically, trailing fourth-place Milan by a point while being tied on points with Atalanta and Lazio. Missing out on the top four would be a disappointment for Roma but they have a chance to garner some momentum by getting a good first leg result. The danger man for Roma continues to be the Bosnian striker Eden Dzeko. He’s been fantastic for Eusebio Di Francesco’s men in Europe. Dzeko scored five goals in the group stage and finished with eight goals last season. The Porto backline is going to have to make sure they mark Dzeko at all times when the ball is on the wings. He’s great in the air, towering over most center backs, leading to being a target man in set pieces and crosses. If there is a player to watch for on Roma, it’s him.